Update: The Willis House sold for $524,095 on August 2, 2017. There’s an open house at a classic Lowenstein home in Irving Park on Sunday (2 p.m. to 4 p.m.). The James H. and Anne B. Willis House, 707 Blair Street, is listed on the National Register of Historic Places for its retention of character-defining Mid-Century Modern features. Built in 1965 and designed by the Lowenstein-Atkinson firm of Greensboro, it has four bedrooms, three bathrooms and 3,000 square feet. That comes out to $194 per square foot, a relative bargain in Irving Park. The Willis House would be distinctive in any neighborhood, but especially so in this one. The current owners, Thomas and Sara Sears, bought the home from the Willises in 2002. They completed a restoration in 2003 and a renovation in 2014 that maintained what the nomination calls “exceptional” interior integrity. 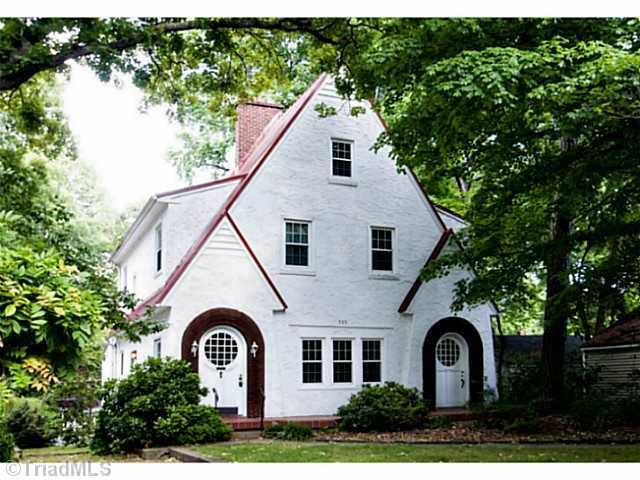 “Only a small number of Greensboro residences are truly Modernist in design, and each stands out in neighborhoods of more traditional houses. … The low, horizontal residences blend in with their settings, reflecting the influence of Frank Lloyd Wright’s Usonian House: economical and efficiently-planned buildings constructed of natural materials. Expansive windows and natural materials facilitate continuity between interior and exterior spaces. Common interior features include expressed structural components, radiant heating, passive cooling, cork and stone floors, wood wall and ceiling sheathing, and built-in furniture. It’s a remarkable house and a remarkable opportunity to own a piece of mid-century history.